partypoker celebrates SPINS with their special edition “SPINS $1M” games! This gives players the chance to become a millionaire in minutes for a $5 buy-in. For those who don’t already know “SPINS” are a rebrand of the site’s popular 3-handed “SIT & GO JACKPOT” tournaments. With these tournaments, players can win huge cash prizes with small buy-ins. The “SPINS $1M” edition features a random multiplier between 2 and 240,000. 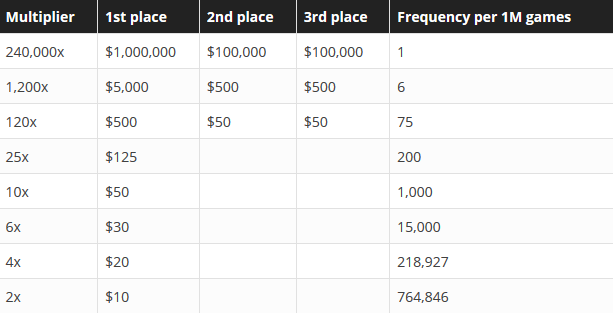 If players hit the top tier multiplier, they will play for the first prize of incredible $1.000.000! That is not all – the 2nd and the 3rd finishers will both win $100.000. If you still don’t have an account with partypoker, join it with us and get $22 in free satellite tickets! 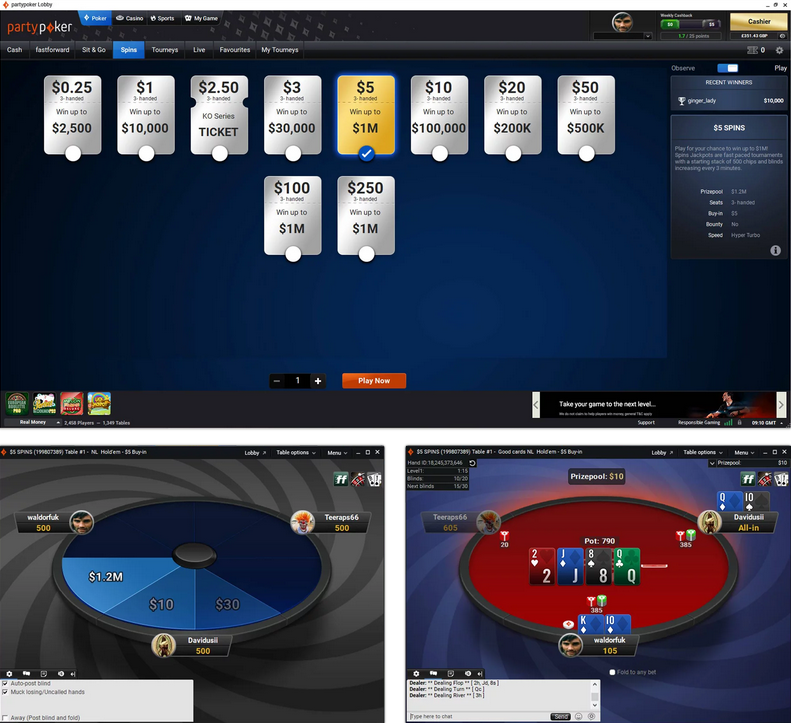 partypoker continues to work both on online and live poker aspects. They decided to begin a year with a great MILLIONS South America – The event will bring $7.000.000 in guarantees. partypoker’s MILLIONS South America festival will run from March 1 to 24, 2019. The event will take place in the world-famous Brazilian city of Rio de Janeiro. The venue is at the spectacular Copacabana Palace Hotel on the seafront of the wondrous Copacabana Beach. The hotel features 239 rooms and suites, a Ristorante Hotel Cipriani, a Michelin-starred MEE Restaurant, and a half-Olympic-sized pool. Hotel guests who would like to enjoy the beach can go to the Copacabana Lounge and savor the sun and sand with their exclusive sun loungers, umbrellas, and complimentary drinks. The five-day Main Event is going to be a $10,300 buy-in Freezeout, with a single Day 1. The schedule has a total of 12 events that include a $1M GTD Rio Open with a $1,100 buy-in, a $25,000 Super High Roller, a $250 buy-in Ladies event, and a $1M GTD High Roller with a buy-in of $10,300. Overall, there’s $7M in total guarantees across the entire festival. The package includes a MILLIONS South American Main Event seat worth $10,300 plus $1,700 for travel expenses. The MILLIONS South America Satellite Final goes on every Sunday at 21:00 GMT. There is a possibility of 10 or more people getting this awesome $12,000-worth package each week. Of course, there are also cheaper ways to reach the package. Every day you can participate in $109 phase one tournament. There are also even smaller satellites with ADDED value. The buy-ins for this kind of tournaments start from as little as $3.30. The satellite action will go on until before the festival starts. If you still don’t have a partypoker account, register with us and grab $22 in free tickets!